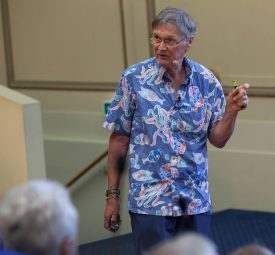 Tim Hunt is an emeritus ‘Principal Scientist’ at The Francis Crick Institute, London, and a visiting researcher at the Okinawa Institute of Science and Technology (OIST) in Japan. 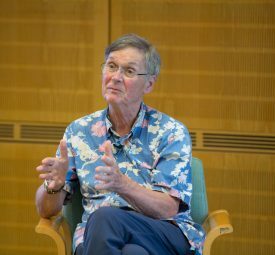 He was born in 1943 and grew up in Oxford until moving to Cambridge to read Natural Sciences in 1961. He did his PhD in the Department of Biochemistry entitled “The Synthesis of Haemoglobin” (1968). Dr Hunt spent almost 30 years based in Cambridge, at first working on the control of protein synthesis, with spells in the United States; he was a postdoctoral Fellow at the Albert Einstein College of Medicine from 1968­–1970 and spent summers at the Marine Biological Laboratory, Woods Hole, from 1977 until 1985. In 1982, he discovered cyclins, which led to a share of the 2001 Nobel Prize in Physiology or Medicine, with Lee Hartwell and Paul Nurse, “for their discoveries of key regulators of the cell cycle”. 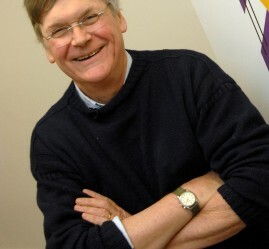 Dr Hunt has written two books, “The Cell Cycle: An Introduction” (with Andrew Murray) and “Molecular Biology of the Cell: The Problems Book” (with John Wilson). Dr Hunt has served on numerous scientific advisory panels, and on advisory boards of laboratories across the world. 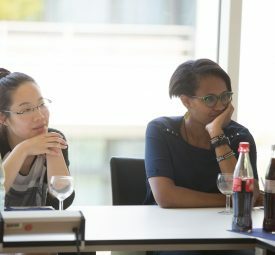 He chaired the Life Sciences Panel for selection of European Young Investigators, and was chairman of the council of EMBO. He was a member of the Scientific Council of the European Research Council (ERC) and of the Board of Governors of OIST. Dr Hunt is a Fellow of the Royal Society, a Fellow of the Academy of Medical Sciences, a Foreign Associate of the National Academy of Sciences of the USA, a Member of EMBO, a Foreign Member of the American Academy of Arts and Sciences, and a Member of Academia Europaea. He was knighted in June 2006. He is married to Mary Collins, who is Dean of Research at OIST, and they have two children. How should I approach a difficult research question? Do great discoveries require great experiments? Is it beneficial to move between labs? Can I trust what’s written in scientific journals? Is it best to get a very large grant? What is the impact of extreme specialism in science? Could science be accelerated if we had more access to negative results? Are some people inherently good at science? 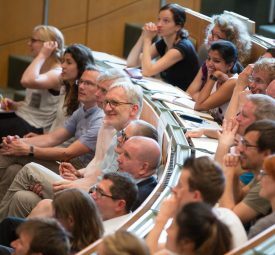 Is it important for us to improve the academic career structure? What relationship do you have with your students? How should scientists deal with competition? What should you do if your approach isn’t working?